In what was near the highest amount ever paid for a gold coin, a 1787 Gold Brasher Doubloon recently received $7.4 Million Dollars at Auction. The deal was brokered by precious metals company, Blanchard and Co. The identities of the seller and buyer were not revealed. However according to Blanchard and Co the gold coin was delivered via armored car to the buyer over the weekend. The 1787 gold Brasher doubloon has been considered by some coin collectors to be the holy grail of all collectible gold coins. This coin in particular was minted by Ephraim Brasher, who was a popular goldsmith and neighbor of George Washington. The coin itself contains 26.66 grams of gold which is actually a little less than one ounce. This particular Brasher doubloon is highly sought after because it is the only one to have a distinctive hallmark punch on the eagles breast. You can see a picture of the near record breaking gold doubloon and read more about the details of this auction at this link. 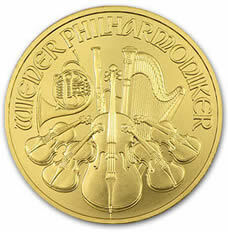 The Austrian Philharmonic is one of the purest gold coins that is available in the world today. Gold coin investors prefer the higher quality of gold that can be found in this coin and also the excellent design of the coin. The coin comes in one ounce and is also known by collectors as the Vienna Philharmonics. 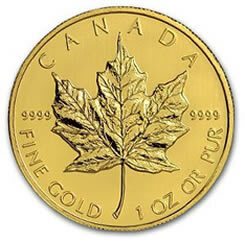 The coin can be compared in its purity to the Canadian Maple Leaf which also has a high gold content. It has come to be one of the most popular gold coins that is being sold having its peak in sales in the 1990s. The US however is not one of the most avid buyers of the coin and sales are still not doing as well as in the other parts of the world. The Austrian Philharmonic has a higher gold fineness than the Krugerrand and the Gold Eagle coins which makes them more costly than the two. The coin can be bought from either the mint itself or through some second-hand dealer where the coin’s premiums can be more costly. The popularity of the coins in the United States has led to fewer secondary markets for this coin although it has a good performance in the primary market. It is similar to the performance of the Krugerrand in the secondary markets. The coin features one of the pride of Austrian culture and music, the organ in Vienna’s most famous concert hall, the Musikverein. It houses the Vienna Philharmonic Orchestra which is considered to be the best in the world. The coin has a weight of one ounce and a face value of either two thousand Austrian Schillings or one hundred Euros depending on the date of their issuance. Hence, it is one of the gold coins that have a face value for two different currencies. The reverse side of the coin features the different musical instruments from the orchestra in such excellent detail making it one of the most beautiful coins in the world. The coin is larger in size than the American Gold Eagle and the Krugerrand which only has a 32.7 mm diameter whereas the Philharmonic has a 37 mm diameter. It is also thinner than the former two in that is only has a 2 mm diameter. If you purchase the coins from the Austrian Mint they will usually be in rolls of coins in a plastic tube. The Austrian mint is one of the longest running mint operating for more than eight hundred years already. In that span of time, the coin has been able to turn up hundreds of designs in coins. The Austrian Philharmonic is one of the purest types of gold coins that is available in the market and is also one of the most beautiful in terms of design. The coin is comparable to the Canadian Maple Leaf in terms of its purity. It is the only European coin which has been produced in large numbers and is also one of the most popular. 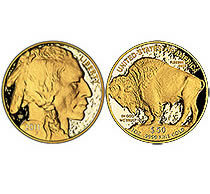 The American Buffalo gold coin is one of the purest types of gold coins in the world today. Having a purity of .9999, it ranks with the Canadian Maple Leaf as one of the most beautiful gold coins in a collection. It has a face value of fifty dollars while the gold content amounts to more than a thousand dollars depending on the prevailing price of gold in the market. It weighs for one ounce and hence makes a perfect coin for investing also. 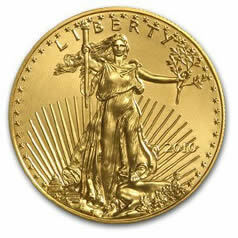 It was issued by the US Mint in order to produce a gold coin that will have the highest karat as a gold coin. The coin has a diameter of 32.7 mm and its thickness is 2.946 mm. It has the design of the native American Indian and the buffalo at its reverse side. The pricing of this coin depends upon the current spot price of gold in the market which reaches to about $1,600 today plus the premiums that will be added to it. Finding this would be very easy as the internet now produces the current gold price in real time and also you can find the current selling prices from those who are dealing with selling gold coins. The design of the coin was based on the history of the United States and the most prevalent themes in the past. The person commissioned to do the job was James Fraser who is one of the best sculptors during that period. The design became so popular that it was used for the bullion coin and the proof silver coins on the past 2001 minting issue. There are several Indians who actually posed for the sculptor in order to serve as models for the Indian head. The buffalo coin contains 24 Karat gold in one ounce. 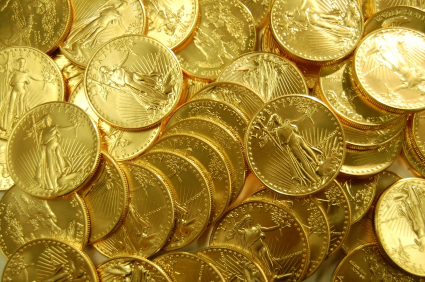 It was the first type of coin to be issued by the United States Mint having the highest type of gold purity. The design however was based on the 1913 nickel which featured the buffalo and was henceforth known as the buffalo coin. It was supposed to enable buyers of gold coin to have an investment in .9999 pure gold in their keeping. The first coins to be issued were made during 2006 and has since marked the beginning of the manufacturing of high gold quality coins in the United States Mint. Although the value of the coin itself is already great, one can still appreciate the worth of the design that is contained in it. It is, in a way, a good method of presenting the rich history behind the making of the United States as a nation. You can learn more about purchasing the coin directly from the U.S Mint here. The minting of the coin was temporarily stopped on 2008 due to the subsequent crash of the economic market. The coin however is still considered to be one of the best coins to have in one’s collection. It has been dubbed as “American Buffalos” or the “Buffalo Gold” as it has now been more commonly known due to its design.